In this guide we are going to look at how to install PhpStorm in Ubuntu 18.04 Bionic Beaver. PhpStorm is a very popular PHP IDE by made by jetbrains, has emerged as one of the best IDE for developing PHP applications. That is all you need to do, now you can open the IDE from the Ubuntu application menu. 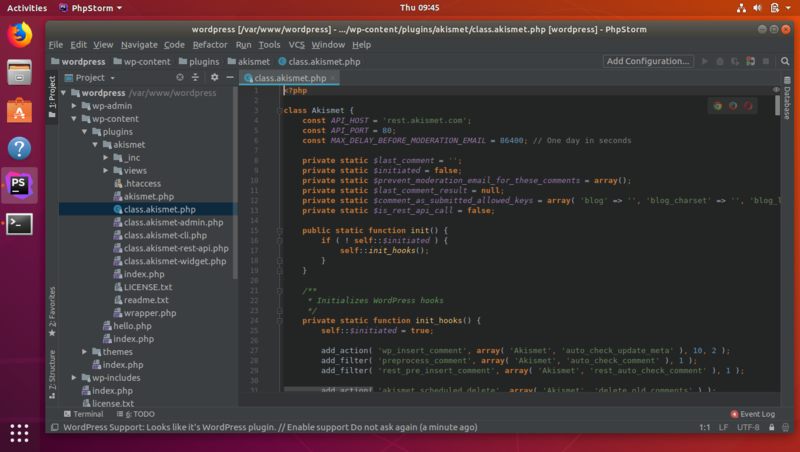 PhpStorm is a commercial IDE, you need to pay if want to use the IDE beyond the 30 day evaluation period. if you don't want to use PhpStorm, There are a number of other good IDE's out there for Ubuntu, such as Atom and VSCode.